With micro apartments on a stellar rise to fame, there is a bigger demand for design than ever. 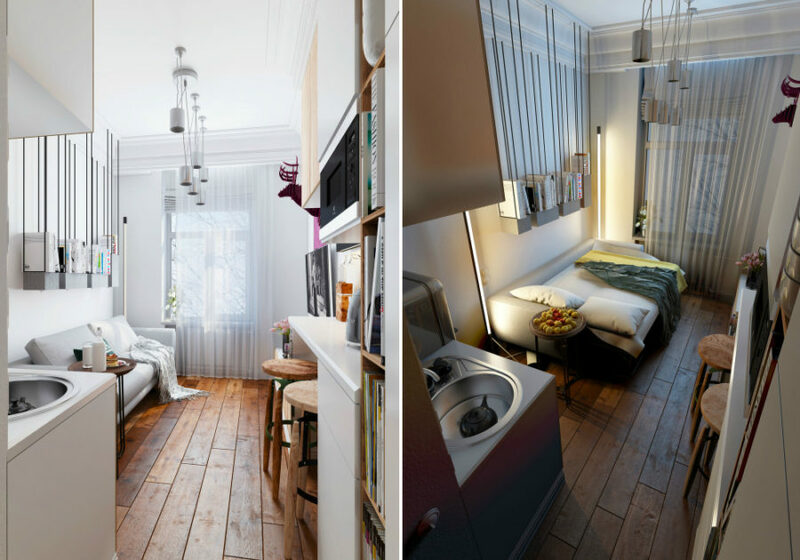 Fitting an entire apartment into a 20-square meter room is the ultimate challenge. But designers employ their ever trick and tool to make these spaces functional, light, and seemingly spacious. Though some of these apartments are too small to live in permanently, they make for great temporary dwellings for those who’d like to cut down their rent or feel what downsizing is really like. 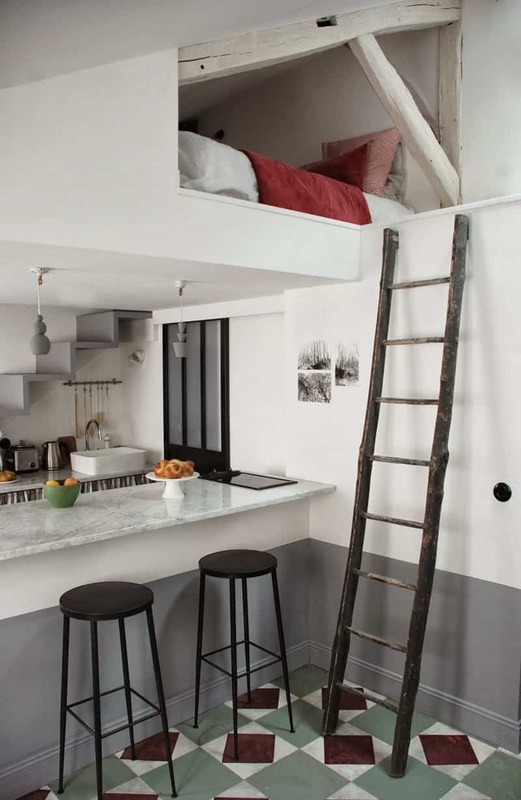 This is the smallest apartment on the list. 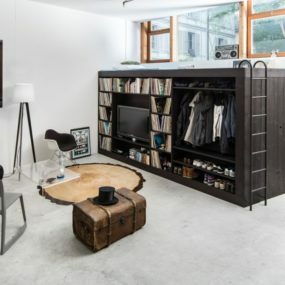 It has an area of just 8 square meters (86 sq ft), and almost all of it is packed into a storage wall that serves as a bedroom, closet, dining room, and more. The kitchen is at the right side of the room, beside the window, and the bathroom is hidden among the storage wall doors. A slightly bigger abode is just 10 square meters (107.6 sq ft), but it has the most beautiful ceiling we’ve ever seen. Otherwise dressed in white, the room benefits greatly from the iridescent turquoise that repeats in the hallway ombre welcome mat. 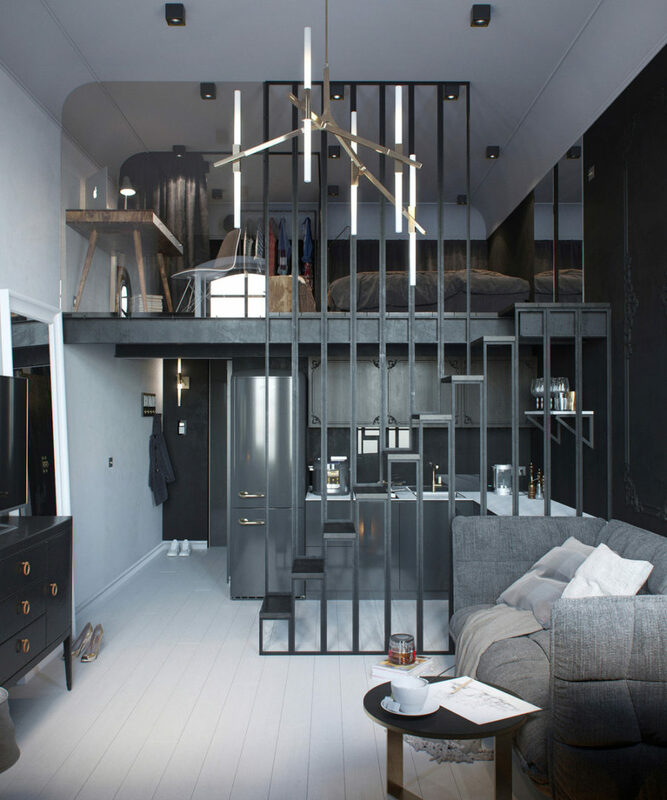 Designer Szymon Hanczar has decorated a 13-square-meter (140 sq ft) apartment in Poland, adding only a loft bed and a hammock to its interior. Dressed in natural materials, the apartment looks modern and light thanks to the white color scheme and an airy net hammock. 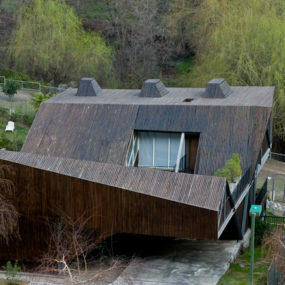 This apartment by Nicholas Vashntsev is a real treat. Its white interior is finished with natural wood elements and purple accents. The contemporary sofa becomes bed during the night, whereas the kitchen breakfast counter doubles as a home office desk. 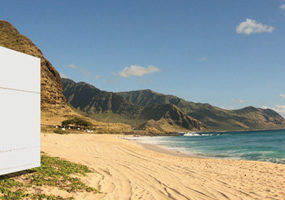 And all of it is in just 15 square meters (161.4 sq ft) of space. Brilliant! 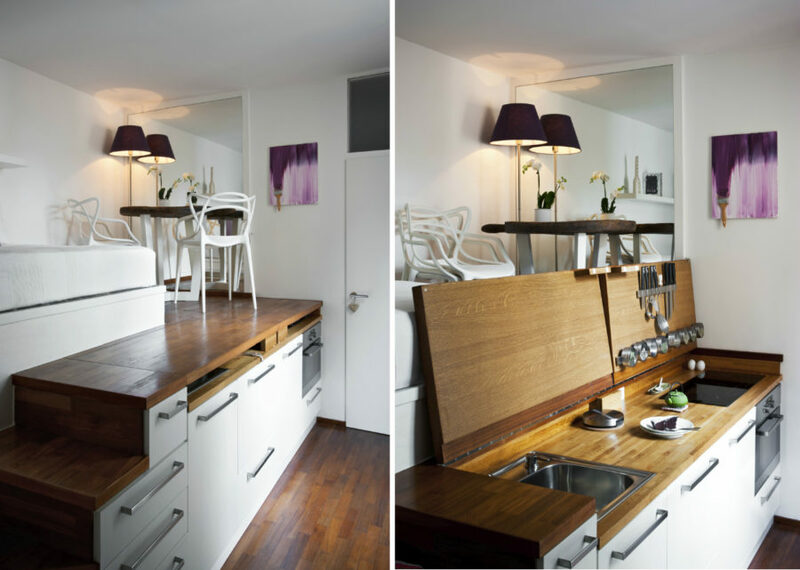 Another tiny apartment is full of surprises, one of which is a hide-away kitchen built into the floor elevation that also houses the bedroom and dining area. 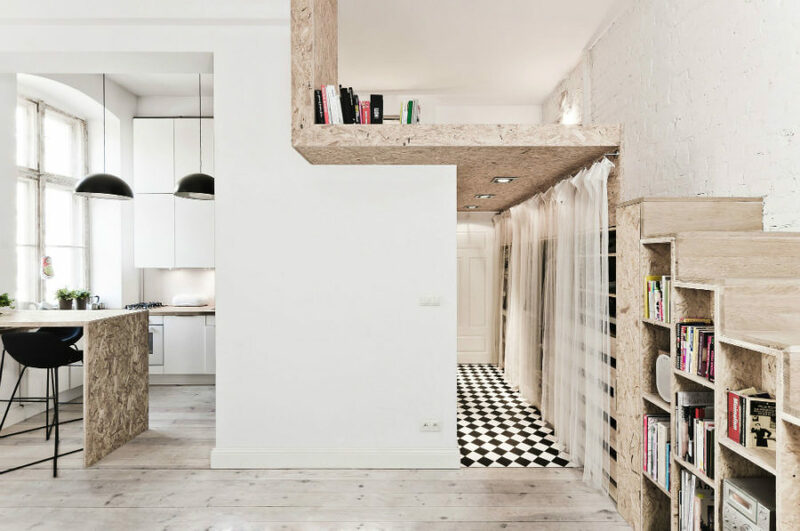 This elevated space also serves as additional storage, and can be accessed through a hatch in the floor. 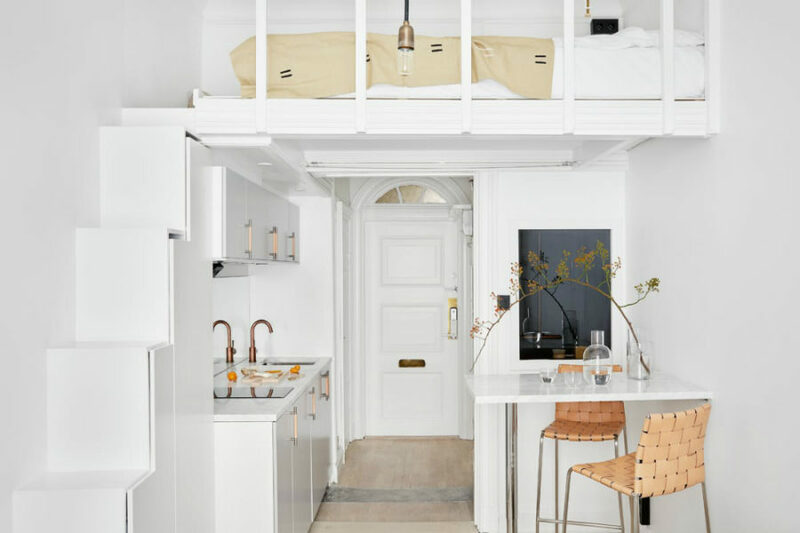 This 193-square-foot Stockholm dwelling is as stylish as micro apartments can get. 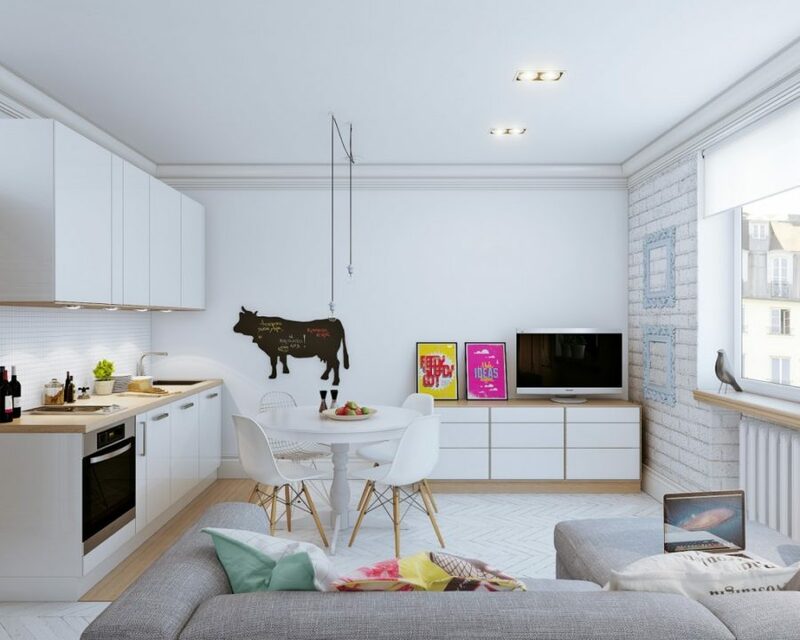 The all-white interior is optimized with storage units for clean and breezy interior look. Loft bed further ensures that there is plenty of room for cooking and eating as well as lounging in the light living room. This micro apartment is just 193.7 square feet, which is more than we can say about the previous examples. Outfitted with the tiniest kitchen, the dwelling benefits from a big bed, a pretty spacious living area, and plenty of storage. As a bonus, there is also an inbuilt aquarium in the bathroom, which is a rarity for micro apartments. 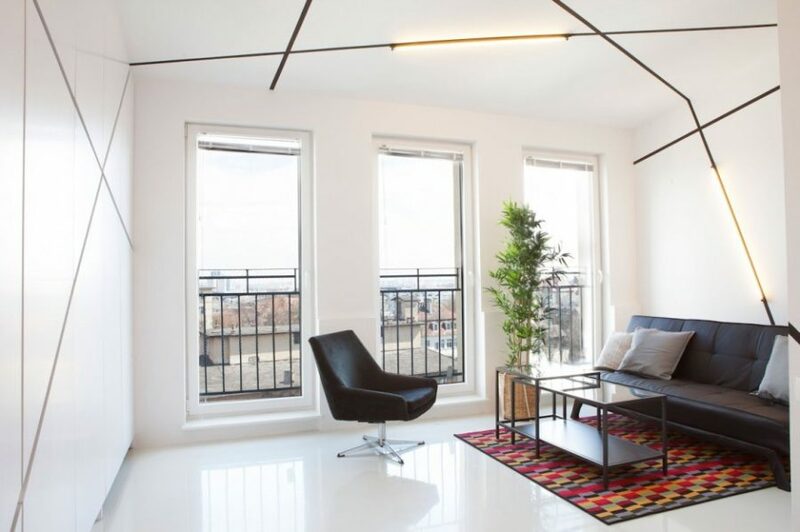 This Paris unit utilizes lighting to divide its 215 square feet of space into 3 zones – bedroom, kitchen, and bath. A loft bed design hides a bathtub and a shower underneath, lighting up with bright yellow during the night. Since the room is long and narrow, it is a perfect layout that leaves plenty of room for the kitchen that looks airy thanks to the absent upper cabinets. Located in the SoMa neighborhood, the 11-storey apartment San Francisco Panoramic building offers contemporary living spaces that are packed with amenities. 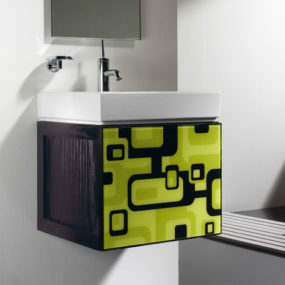 Its smallest unit is just 20 square meter (220 sq ft), but its design compensate well for the lack of space. 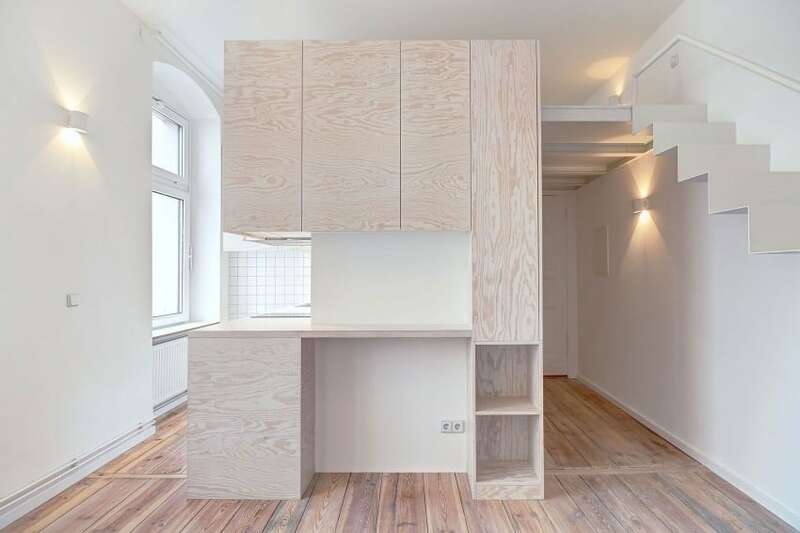 At just 21 square meters (226 sq ft), this Berlin dwelling packs plenty of storage and a fresh light design intended to amplify natural light from the windows. The loft bedroom frees up space for the living room and a decently-sized kitchen. The light wood plays well with the all-white interior, but we can see some bright accents bringing more life to the place. RedNest is a project of Paul Coudamy of Coudamy Architectures that encompasses just 247 square feet, but looks like it has everything one may need for comfortable living. Packed in an extending furnishing unit, the bedroom appears and vanishes every night and morning. And there are also dressing, and working spaces along with plenty of storage room. This 258-square-foot studio is a physical proof that dark grey and black can work in small spaces. The dramatic design doesn’t only come from color, however, as furnishings and design elements, too, ooze sophistication and splendor. It’s worth to note that the floors, ceiling, and an opposing wall are all painted white, which probably accounts for a spacious rather than claustrophobic atmosphere. 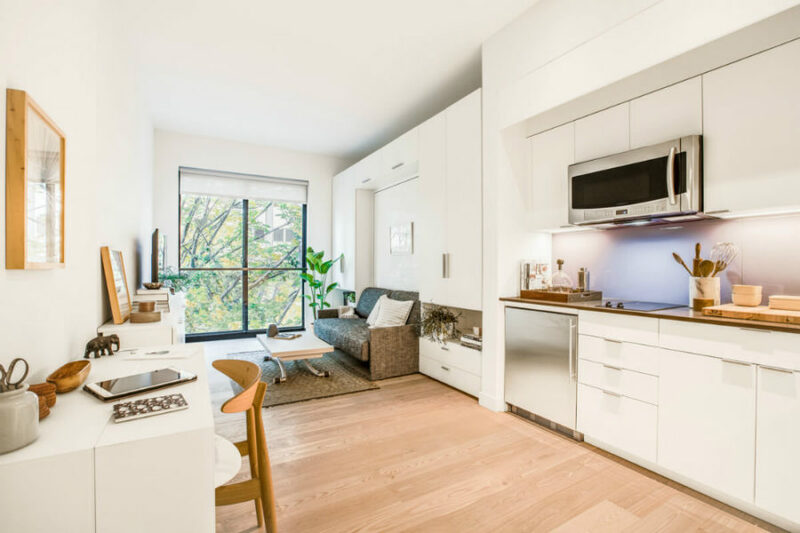 Carmel Place in New York’s Kips Bay is one of the apartment buildings offering micro units for rent. 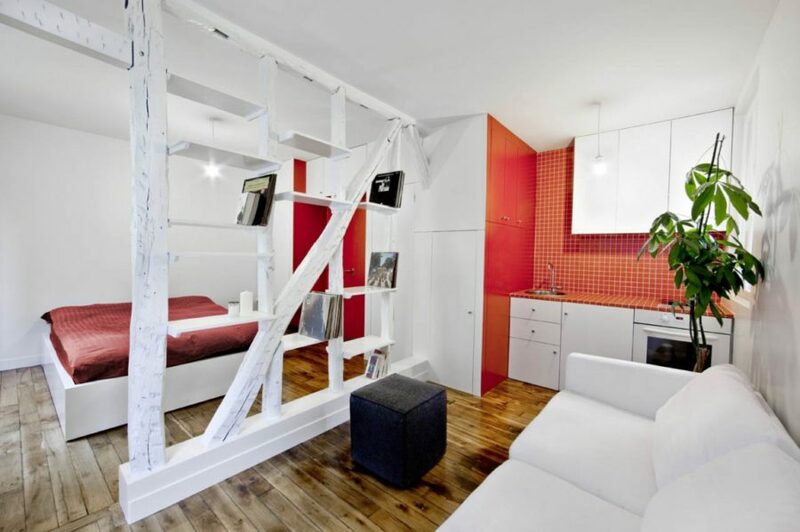 This tiny French apartment is one of those that don’t utilize loft beds to save space. Instead, it zones out the available square footage to demarcate different areas. The bedroom is loosely separated from the living room and kitchen with an open bookcase. And although it doesn’t do much in providing privacy, there is a clear distinction between the areas. 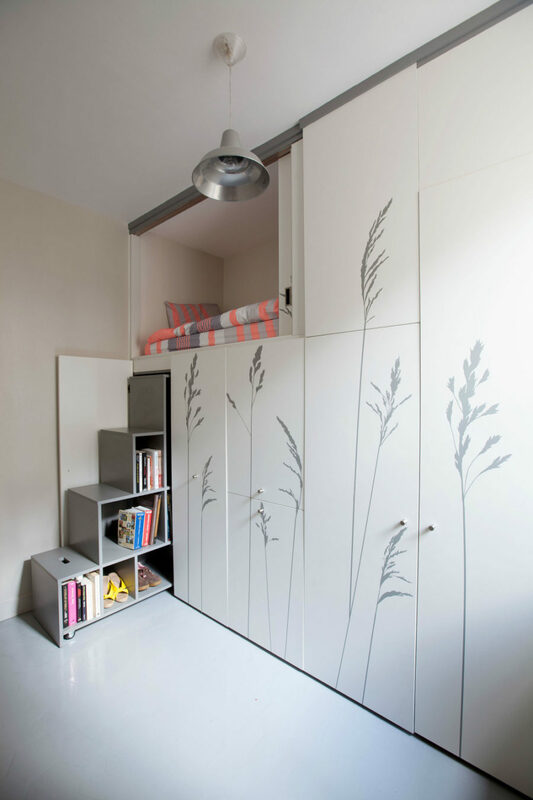 25 square meters (269 sq ft) is a popular size for micro apartments. Here is one designed by Zukkini for a woman in St. Petersburg, Russia. Most of its flooring is tiled, but the living room looks cozy thanks to the light wooden floors. The main room that serves as a bedroom and living area with an adjoining dining unit is cleverly and clearly zoned out with furniture. 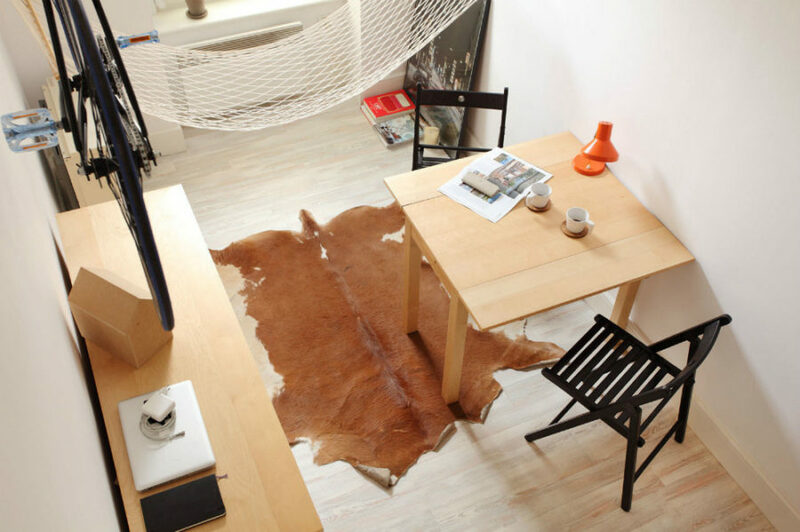 This micro attic apartment masterfully combines modern design and rustic Parisian flair. But the main attraction here is the attic bedroom. Conveniently forming a nook, the bedroom frees up space the designer used to create a spacious kitchen with a peninsula doubling as a breakfast counter. This breezy apartment is the stuff of dreams. It combines the contemporary, loft, and Scandinavian styles, and does it impeccably. The main room packs an open plan kitchen/dining/living area dressed in white, while its hallway is dimmed with navy blue and bathroom is brightened up with neon turquoise. 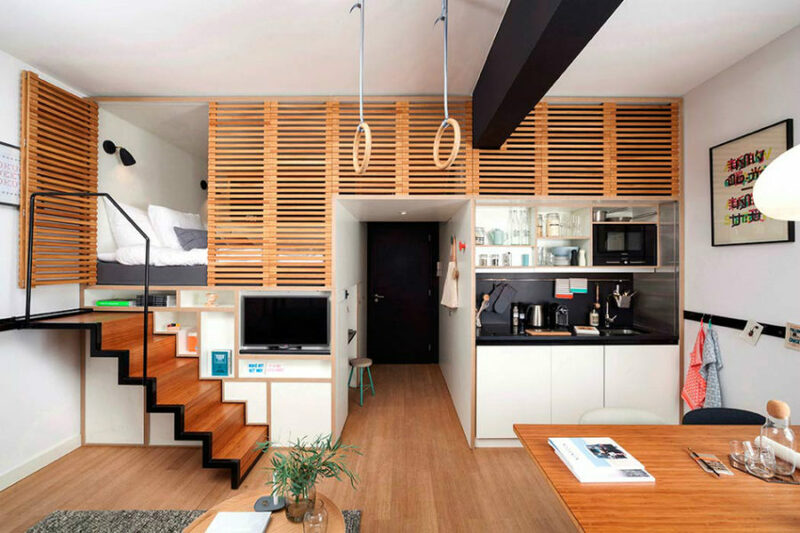 Zoku Amsterdam is a hotel that promotes spacious micro living units for travelers. One of its lofts is a 269-square-foot room with a flexible design made inviting and cozy through the use of wood. The short-term living space has everything one may need like a kitchen and even Olympic rings for working out. 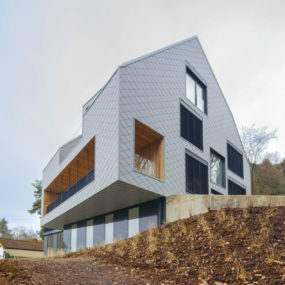 But its main feature is a louvre system that hides a loft bedroom. We feel like this could very well be a permanent living space, so smartly it is designed. 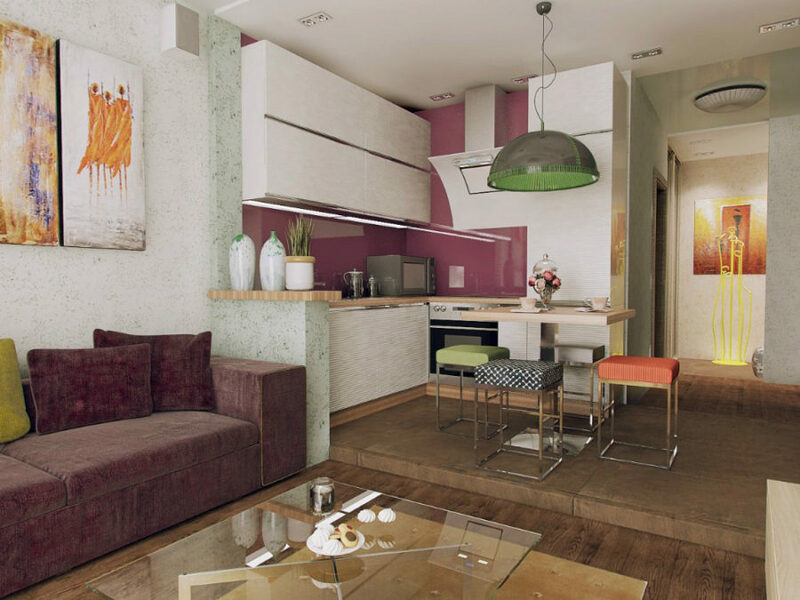 Mili Mlodzi Ludzie designed a contemporary apartment on a budget of just €8000 ($8,940). In reality it looks much more expensive than that thanks to its minimal black and white design. One of the things that makes it stand out among other small minimalist apartments is the wall and ceiling decor that frames the dwelling’s minimal lighting fixtures. This apartment located in Woolloomooloo, Sydney had a budget of $40,000 and an area of 290.6 square feet. The result? A transforming home with plenty of space to work out, hang out, and store things. The designer marked each area using different colors. 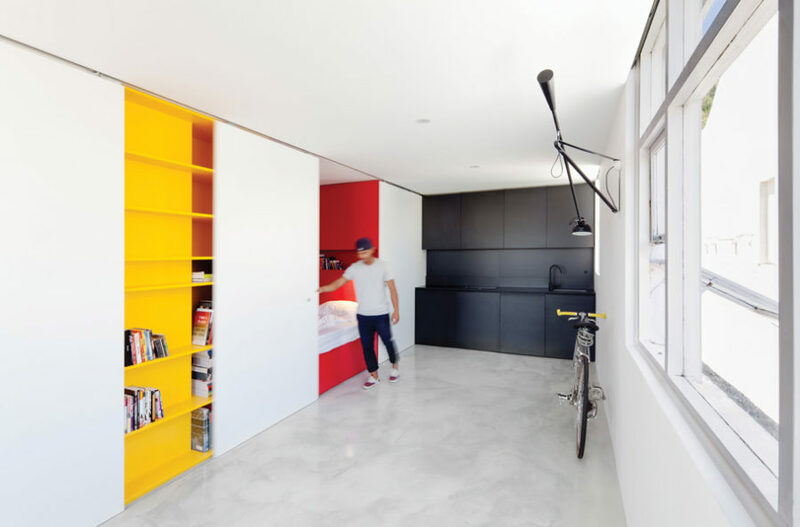 The black kitchen doesn’t stand out much, and the red bedroom and bright yellow bookcase are hidden behind the white retractable walls, when they aren’t needed. Another transforming apartment in Sydney is the work of Brad Swartz. This one also makes use of retractable walls and color. The bedroom is hidden behind a storage wall that also disguises a TV, a bookcase, and a pantry, rendering the space minimal and contemporary. And the kitchen retracts visually thanks to the use of black color. Designed by Anastasi Shamisova this 301-square-foot apartment looks deceptively spacious thanks to its light interior scheme that isn’t devoid of rich color accents. 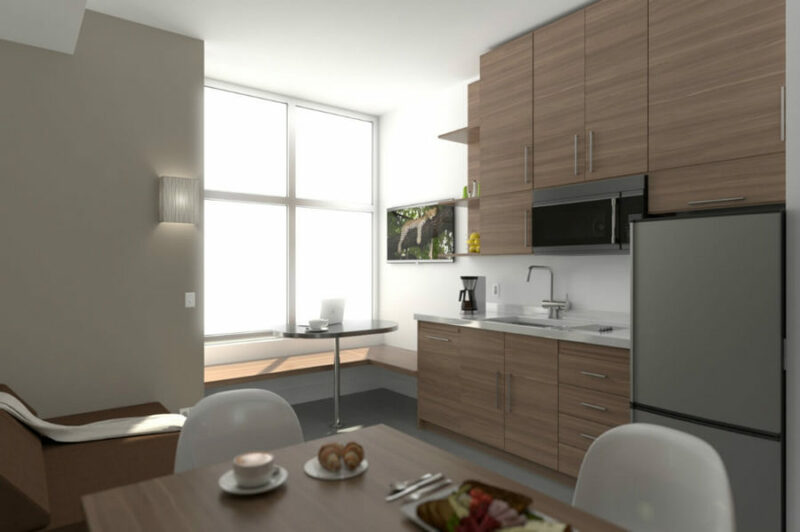 Using reflective surface in micro apartments can help create a similar feeling of spaciousness, while metallics will bring a lot of glamour with them. 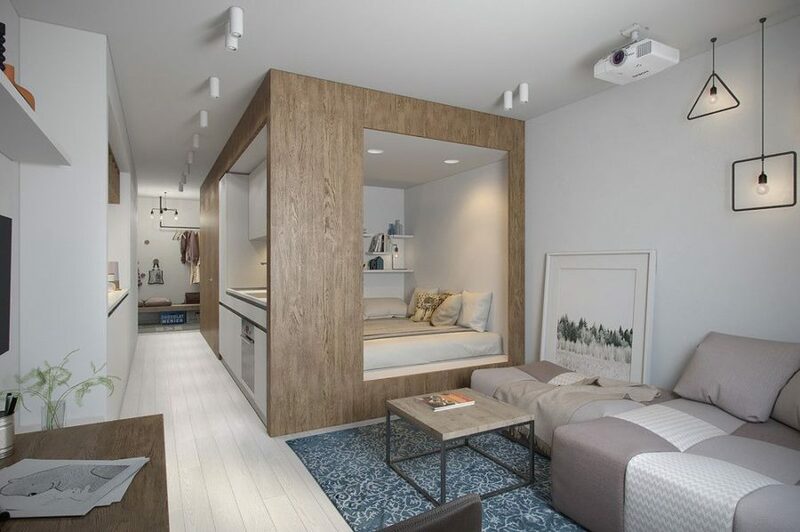 A 312 square feet seems quite generous at this point as far as micro apartments go. But low ceilings can make it difficult to enhance the space further. Here, the compromise lay in creating a semi-mezzanine with a storage-friendly staircase that houses the bedroom, and creates additional area for ample storage. 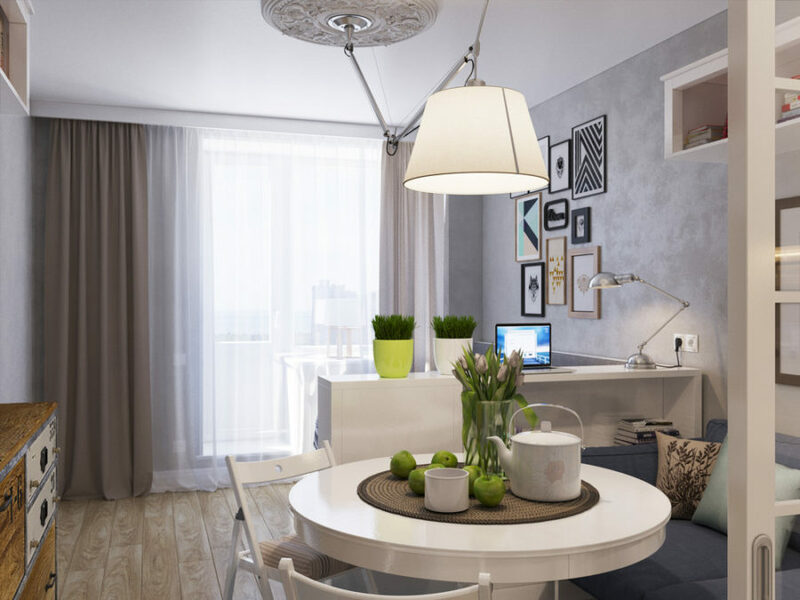 Another St. Petersburg project comes from Alena and Andrey Timonin at exactly 30 square meters (322 sq ft). 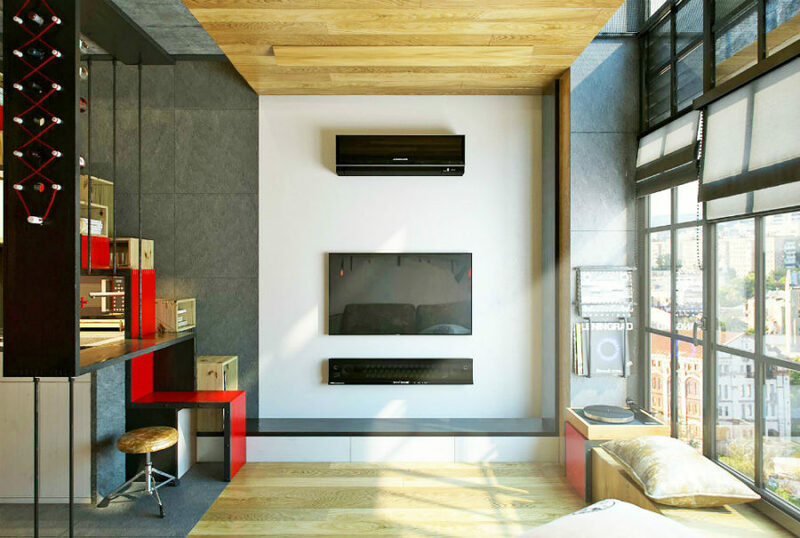 The place is cleverly designed to fit every living area into compact zones that would stand separately from the rest. A wooden cubicle in the middle of the room divides the living area from the hallway, while housing an inbuilt kitchen and bedroom. 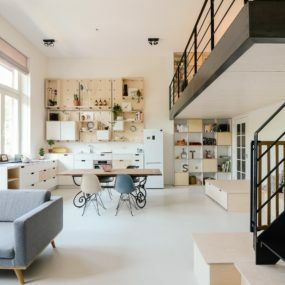 Micro apartments make for perfect student accommodations and temporary living spaces, but would you be able to live in a place less than 25 square meters?